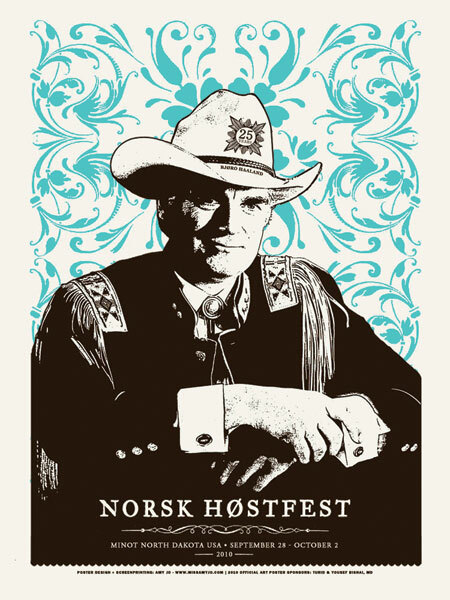 Official Poster. Commemorating Bjøro Haaland's 25th year performing at Norsk Høstfest. Tens of thousands of people attend the event annually to celebrate and partake in the Scandinavian culture and entertainment. The experience is an eclectic array of contemporary and traditional. Printing 1st color. 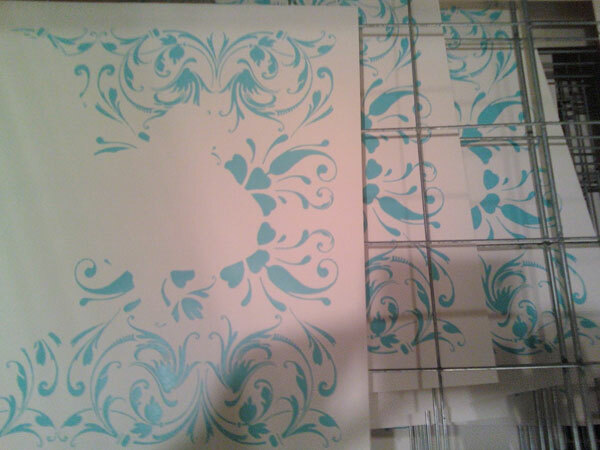 Run of 500 screenprinted posters. Check-in 7:30am-8:30am. The beer garden is open from 10am until 2:30pm. Starts and finishes at Parade Field (just west of the Sculpture Garden): 400 Kenwood Parkway Minneapolis, MN 55403. Hop on your bike and take a tour of Minneapolis! Enjoy the scenic Grand Rounds Byway System at your own pace, with no motorized traffic! All ages and abilities are welcome! Parkways are closed to motorized traffic for both a short (14 mile) and a long (36 mile) route through Minneapolis. Both routes include rest stops with refreshments and bike mechanics. Stick around after the ride to enjoy LIVE music, vendor booths, post-ride food, FREE coffee from Peace Coffee and FREE beer from New Belgium. 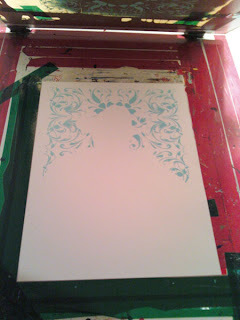 Amy Jo will be selling posters and prints, including the 2010 Minneapolis Bike Tour poster! 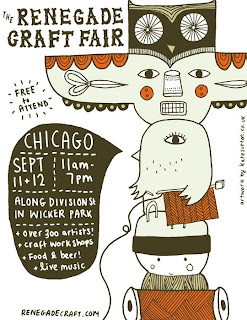 Amy Jo is proud to be a part of the 8th Annual Renegade Craft Fair in Chicago, where the FREE TO ATTEND craft, art, design and DIY spectacular was born and raised! 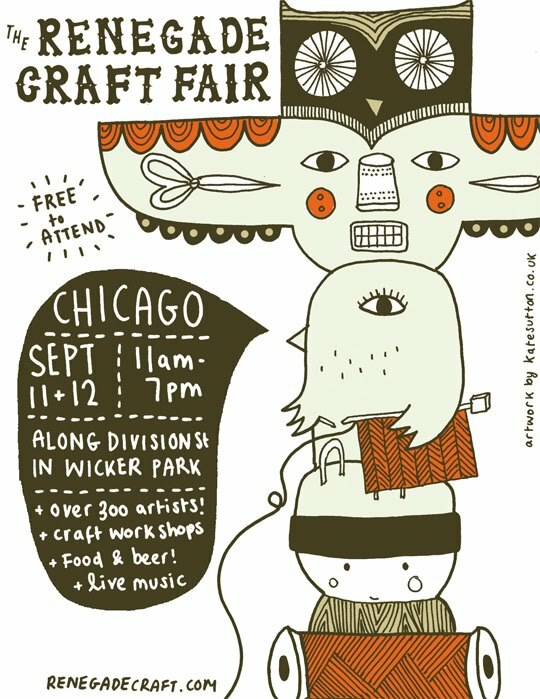 On September 11 + 12, 2010, from 11am – 7pm, all of Division Street, between Damen and Paulina, will be chock full of incredible handmade goods made by over 300 of today’s finest indie-craft talents from all over the nation, crafting workshops + demonstrations, live entertainment, food + beverage options and other features! The Fair takes place in Wicker Park, one of Chicago’s liveliest neighborhoods, and is easily accessible by car, public transportation or bicycle! Please see the FAQ for details, directions + lots more info! Stop by Amy Jo's Booth #256 and say hi to Amy Jo & TOOTH! !